Whether we see them in motorsports, popular TV shows, or notice heads turning when we see them on public roads, high performance cars are undeniably popular feats of engineering. Regarding either electric vehicles (EVs) or conventional, there is an expectation of continuously beating previous performance records. Simple mechanics dictates that “increasing performance” – higher top speed, faster acceleration – is inseparable from increased energy consumption. Given the current understanding of human influence towards climate change and our supposed national commitment to helping1, perhaps it is irresponsible to continue allowing these machines to grace our roads. Should a ban be imposed on road legal performance cars? Performance car manufacturers aim to develop cutting edge technologies to challenge their competitors. The pursuit for progress significantly influences the in-work duty ethics established by each car manufacturer, which are to be followed by anyone involved in the process (i.e. employees). These norms exist to ensure their success in a highly demanding market. Using Kantian Theory, irrespective of the consequences, the production of high-performance cars can be judged as morally right since the actions comply with the company and industry norms1. Cars could be seen to reflect their owner’s virtue ethics because vehicles are a modern extension of identity. Progression and elegance are perhaps virtues that owners of such vehicles subscribe to and therefore seek premium car models that have increased speed and power relative to previous models. However, the public’s perception of good or virtuous qualities change; marketing attempts to control the virtue ethics of the public so that they seek certain personal traits through their vehicles. Promoting performance cars as a symbol of elegance without mentioning environmental impact prevents accountability from becoming a major societal virtue. Thus, the public and industry can feel morally just and avoid the guilt associated with the overall increase in energy consumption. It is assumed that the government would enforce the ban, so it is important to consider the norms that must be upheld. A ban would directly contravene a social norm of the public; their right to freedom of choice. While this argument may lead to the conclusion that a ban is unethical, the Utilitarian ethical framework could disagree. The Utilitarian analysis weighs up good versus harm resulting from banning performance cars1.The predicted harm of the ban is frustration, devaluation of assets, and slowing technological development. Frustration would be widespread; car enthusiasts would be angry that they couldn’t drive a fun car on a day to day basis, other members of the public may feel angry due to infringement of freedom. Many UK car owners would have their property devalued and UK automotive (both OEMs and aftermarket) companies would lose business. Regarding technology, Nikola Tesla famously stated: “the development of man is vitally dependent on invention” and went as far as to describe invention as our “ultimate purpose”. Speed and power are simple and obvious metrics of progression that a ban would restrain in the automotive world; perhaps fundamentally harming mankind’s self-esteem. Furthermore, the development of performance cars has facilitated improvements in vehicle safety features across the automotive sector. Mercedes’ Electronic Stability Control (ESC) inspired an EU mandate for this feature on all new cars4,5, motivated by studies that showed ESC reduced crash fatalities by 25%. The predicted good of the ban is a reduction in: environmental damage, irresponsible driving and class division. Removing performance cars will certainly result in a lower average energy consumption per road user, reducing harmful emissions that damage the environment. This has the potential to affect not just humanity, but every organism on Earth1. Irresponsible driving is ultimately due to the driver and not the vehicle, but as roughly a quarter of 2016 road fatalities were speed related7, it is not unreasonable to suggest that reducing access to cars that can easily break the speed limit could help increase public safety for all road users. Owning a powerful vehicle that can easily exceed 100 mph seems nonsensical since the maximum legal speed is 70mph and, due to worsening congestion, the average 2017-2018 English A road speed is only 24.9 mph8. Moreover, the number of people at risk at any instant is increasing because the UK’s roads are busier than ever9. Lastly, luxury cars can highlight financial position or status in society, which could be considered detrimental; do the rich need another way of outperforming the poor? Care ethics places ethical judgement on whether decisions made in a relationship are empathetic. 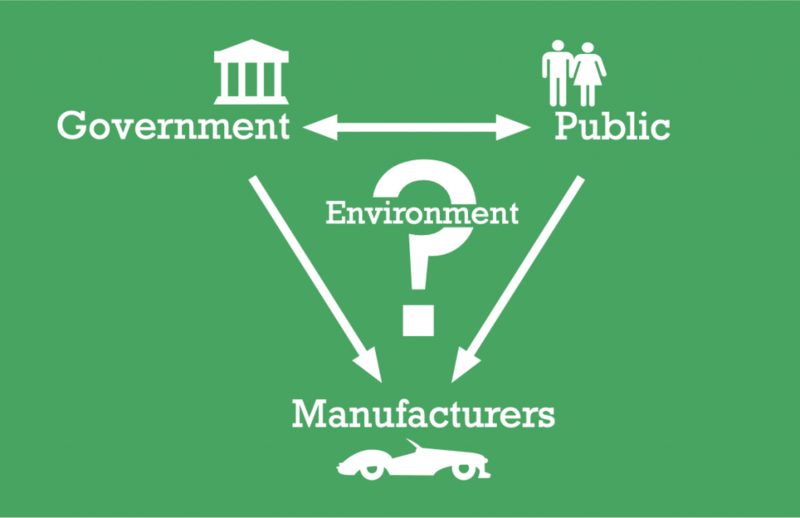 Figure 1 shows the functional government-public relationship; the public understand that government needs people to vote and obey, which by majority the people do. The government know that people need economic and social security, so it aims to provide. By nature, business is competitive, not empathetic. This means that from a care ethics standpoint, businesses act unethically, hence the lack of reciprocity in figure 1 from manufacturers to other parties. It makes little sense to talk about the environment having empathy towards other parties; it just provides resources. However, there is value in considering the empathy shown towards it. The public do not actively consider the environment in their normal lifestyle choices, since it is too inconvenient. Governments do show some empathy for the environment, hence the existence of the department for the environment10. A means by which the government could show more empathy would be to enforce a rule that reduces the environmental impact of road users. Therefore, a performance car ban can be somewhat justified using care ethics. Nevertheless, if a government were to impose a ban, a fully empathetic situation is not achieved because empathy towards manufacturers would cease. Based on the above discussion, we conclude that a ban should be enforced on performance cars. Van de Poel, Ibo, and Lamber Royakkers. Ethics, technology, and engineering: An introduction. (John Wiley & Son, 2011). Tesla, Nikola. My inventions: The autobiography of Nikola Tesla. (The Philovox, 2007). Frampton, R. and P. Thomas (2007) Effectiveness of Electronic Stability Control Systems in Great Britain, Report prepared for the Department for Transport, VSRC, Loughborough, March 2007. I don’t believe we should ban this technology as it brings many innovations (especially in England) and we cannot ban choice. The net energy involved is not significant – probably a fraction of that used by executive jets or cruise holidays. However, the fact that the rich can ignore the environmental reality is no longer appropriate. The answer (only my opinion) should be to put massive taxes on the emissions of these cars so that a clear message is given all that brain power and r+d potential goes towards developing more efficiency. That will filter down to normal products. Since the Industrial Revolution, attempts to block technology have always been negative. I believe that performance cars should not be banned in the UK. They make up a small proportion of the cars currently on our roads. I suggest that there should be further work conducted to highlight the differences in cumulative emulsions from standard cars compared to performance cars. We should also not forget that many individuals share a passion for performance cars, even though they may not be able to afford one. “Poor” individuals often enjoy seeing these cars when driving; performance cars are often designed with interesting arsthtics. This is a very interesting topic and some interesting points have been raised both for and against. I feel it is important to consider the direction of the supercar industry and the recent technological advances made in this area. Staggering advancements have been in the electric vehicle sector over the past 5 years, including the growth of Formula E. Formula E cars prove that electrical Formula cars can perform at the same level as petrol, meaning the same results can be achieved with supercars. A push to electric supercars may be seen as a push in the right direction assuming the production of lithium is sustainable. The acceleration of electric vehicles is simply unmatched by petrol vehicles, making the move to electric supercars more promising. The next topic of interest for me is autonomy, the ultimate goal of a level 5 autonomous vehicle is the dream for many automotive engineers. Due to the complexity of supercars, automation could play a vital role in improving the performance of supercars. I believe supercars should remain a part of the automotive industry as they force companies to redefine the possibilities of what is possible for cars. Koningswagg and Bugatti are two companies that are constantly pushing automotive engineering limits and creating new technologies for use in supercars. Koningswagg’s direct drive gearbox would not have been created if it were not for the supercar industry and their drive to break the 300mph limit. KDD is a groundbreaking gearboxless system which could prove to be very effective in to automotive industry, as could other technologies discovered in the supercar industry. Furthermore, manufacturing processes for high end components (i.e disc brakes) are optimised through their use in the supercar industry, such that they are affordable on high end cars, not just supercars. This can also be seen with others features that originated from supercars that have now found their way into the high end car market. I feel this is an interesting topic of discussion, however I feel that the ban of supercars will have a limited effect on pollution and other problems stated compared to a change such as a ban of all petrol and diesel vehicles, which is a likely possibility over the next 10-20 years. The supercar industry simply isn’t large enough to have a moderate effect on pollution. I think a more concerning topic to consider is looking at the push towards electric cars, do we have the resources to move to all electric vehicles and are we able to make the production of lithium more sustainable? I DON’T believe that performance cars should be banned. I have owned a performance automobile since I passed my test and have been in a grand total of 0 accidents. Just because there is a link between performance automobiles and crashes deosn’t mean that I will crash!!! We live in a free country and if we start banning things all willy-nilly, what seperates us from being back in the 40’s? I take pleasure in driving my automobile and only rarely exceed 90 (on the motorway) – I don’t see this as an issue as I am a safe driver. Whether I am driving my Porshe or driving a rubbish grey Yaris I’m still going to irreparably damage the environment. Personally I find driving one of life’s greatest pleasures and will not support this petition to ban them. Unless we all turn vegan and cycle to work we won’t fix climate change, so ‘token’ motions such as this are pointless!! Also, we conveniently forget that mining for lithium is highly intensive and unsustainable, yet we fool ourselves into thinking that the future is electric. There is no difference in what type of car you drive – you are still causing damage. The lithium mining thing may be true; it is harmful to the planet to produce the chemicals that go into battery production. It should however also be considered that once a battery reaches the end of its usable life, the lithium left in the battery can be partially recycled, so the net harm is significantly reduced. In addition, as battery technology improves, the usable life of battery systems will increase, reducing the carbon-equivalence of the lithium. I totally agree that super-cars are bad for the environment- they can never reach their performance potential (legally) on UK roads and eat up ridiculous amounts of fuel but I don’t think that a ban is the best solution. I think consumers are becoming more environmentally conscious and are beginning to actively chose more environmentally-friendly options. As demand changes, this will be reflected in the market and encourage the supply of more environmentally-friendly cars. Meanwhile the government would be better served by imposing taxes on high-emission cars and using this money to subsidise the production of environmentally-friendly transport alternatives or to invest in stronger public transport networks which can benefit everyone. I also think it is wrong to intervene in the market to the extent that you totally restrict consumer choice- particularly on the premise of alleviating class differences. For one, you should have the ability to spend your money on luxuries even if they aren’t universally accessible because otherwise the incentive to take on more work to earn more money would be reduced. It is also presumptuous to suggest that those who can’t afford a super-car don’t enjoy seeing them or appreciate the technology that drives them. Why else would people watch Top Gear? You would be restricting freedom of expression and identity for all car-enthusiasts whether they own a high-performance car or not. You said yourself that super-car technology has led to advancements that have benefitted car users universally like reducing crash fatalities by 25%! There’s no telling where technology will take us or where these advancements will come from so I don’t think we should ever intervene to the extent of essentially banning innovation. We should not ban performance cars. The manufacturers are making the high performance cars cheaper is the issue. Such examples are BMW M series, Mercedes AMG, VW Golf R. Now we even have a twin turbo diesel engines which are capable of doing 0-60 under 5 secs in ‘normal cars’. So in terms of dangerous driving it will be the ‘normal drivers’ who are likely to cause an accident not the rich. Your point of performance cars can easily break the speed limit is not the root cause of the problem, it is the driver. We should ban drivers who have no idea of how to handle power. The people who are for the ban for environmental damage should consider other areas that significantly contribute to this factor. Why don’t they give up their holidays to reduce aircraft emissions to ‘save the planet’? You talk about reducing class division with the ban but you created the class division in your article by labelling rich people as a separate category. Class division is created by the ‘have not’ people in my opinion. I think this is an interesting conversation to have. Broadly, I support a ban on performance vehichles. However, it would seem odd to impose such a ban on these products alone as the improvement in environmental impact would be negligble. As part of a wider ban of products and practices which are damaging it would definitely make sense as we should limit damage as much as possible. I am not convinced by many of the arguments against the ban. First, to suggest that technological progress would be slowed by such a ban is naive. Are we to believe that – aside from these vehichles – there are no problems which require innovation? Of course not. As we are surely all aware, humanity faces a great many problems which call for ingenuity. A ban on research into these vehichles would in face free up many brilliant minds to work on solutions beneficial to billions; it would not slow innovation, merely redirect it. Additionally, the freedom to choose, whilst important, is not the same as a licence to harm. One must have choice, but should not be able to choose to destroy what is not yours. This is a widely accepted social norm. However, it cuts both ways. If high performance vehichles are banned for the damage they do to the environment, many other tools and hobbies should be banned as well. The magnitude of such a ban would probably be unprecedented, however the scope of a task should never be a reason to not complete it. Very interesting article and debatable too! Good points on for and against the ban. Personally I would be against the ban even though I am all for environmental protection. I’m sure numbers will support the fact that performance cars contribute a small portion to emissions compared to cars in general however you raise a good point regarding no reciprocity from the manufacturers. They are only really concerned with what makes money! The key point is that a tremendous amount of technological advancement is achieved through these supercars and quite possibly a significant contributor to the safety systems we have in our cars. I think the government should form regulations that constitute what manufacturer are responsible for. Currently I strongly believe it is only the government who does anything for our environment and so have the power to impose stricter regulations in an attempt to reduce the harms you mention in your article. However I do think the ban will not address the core issues. Great article. It’s a good article that makes some very good points but I feel like an important point is what kind of bans could be put in place. If the ban is on the top speed to reduce the number of fatal accidents then companies can enhance the cars just for the acceleration to the top speed which could lead to an increase the emissions for normal day to day driving speeds. If the ban was on emissions/energy consumption then any enhancements to the performance would have to be balanced with enhancements to efficiency so it would be good for the environment but it wouldn’t necessarily restrict the speed in the long term. A very interesting article that raises some important points that governments should consider. I agree with the conclusion drawn in this article with the caveat that it is only applied to non-electric vehicles. I believe that, for the time being, the technological advancements that may be achieved through the development of high-performance electric vehicles will provide sufficient utility to offset, if not outweigh, the detrimental impacts of allowing electric performance vehicles on the road. Imposing a ban on such vehicles would surely stifle the R&D. An illustrative example of this would be the development of efficient energy storage devices, such as the batteries used in electric vehicles. A current issue slowing the implementation of intermittent but sustainable energy sources, such as wind farms, is the lack of technology that could provide the ability to store the excess energy produced during times of peak supply and low demand. The energy storage technologies produced in the development of EVs could have the potential to accelerate the adoption of sustainable, low-carbon energy sources thereby having a positive impact on climate change. Whatever happened to freedom of choice? I see you have mentioned it in your article but I think it is one of the most important points to be made. As much as there needs to be regulation of any technology that has the potential to harm the environment or living creatures, we as humans should have the right to choose whether or not we are environmentally conscious or not. It should not be down to government to decide what I can or cannot do with my money. I do not think performance cars should be banned. Firstly, I think there needs to be a better system in place where people have to pass progessive driving tests on increasingly powerful cars. Just because you passed your driving test in a one litre Vauxhall Corsa should not qualify you to then drive a Lamborghini Aventador. This system would massively reduce the amount of accidents caused because people don’t know how to handle the power of these cars. Secondly, I think there should be a device on every car which automatically notifies the police when the car is at above 100mph. People who speed and drive recklessly, will do this regardless of whether they are driving a performance car or not. Thirdly, many people who purchase a high performance car do so as a physical representation of their success; they should be able to express pride in their achievements; other people should not be envious. Many of these people may want to use the car for track days as a hobby; banning performance cars is essentially equivalent to banning these people’s hobby. Lastly, the environmental impact from performance cars is no where near as much as what people think. A BMW M4 (a typical performance car) produces 213g/km of CO2. A MK6 Volkswagen Golf (a common car on the road) produces 159g/km of CO2; only a 30% increase but it is more than likely that the Golf is driven much more than 30% of what the M4 is driven. Upon research, it becomes clear that it is older cars that harm the environment much more. Therefore, banning performance cars due to their high environmental impact isn’t really a valid argument. Also people with performance cars tend to drive them no where near as much. Many people with high performance cars may only use the car for the summer, whereas that Golf may be doing 30000 miles every year consistently, and so having a greater environmental impact. I think it is foolish to suggest that banning performance cars is a viable option to reduce climate change, even if it were possible to implement! It is however almost certainly true that road collision incidents would reduce if there were fewer unnecessarily fast cars on the road. Interesting read! Interesting application of philosophical ideas. Some of the points seem like they are worth exploring further such as the impact on social class. Seems to me though that if people want to drive fast they’ll always find a way! I’m all up for the ban but I question how much of an impact it will make. Yes these types of cars are pretty useless on our roads but the drive for efficiency has been significant in the last decade. These types of cars produce pretty low level of emissions. Now if we remove the idea of performance cars and just look at cars as a means for transportation then we remove dangerous driving and class division. So I think we should ban performance cars and views cars just as a mechanical machine that gets us from A to B. But major manufacturers would lose money and the government lose tax so it will not happen. Unfortunately money can be worth more than lives. Whilst I agree with the against argument and the fact that banning these performance cars would result in a much needed reduction of harmful emissions; I more strongly agree with the for argument as a ban of this kind is directly affection our right to choose. This simple ban can lead to consequent bans of similar nature until they spiral out of control. I believe perhaps regulations could be in order to manage these cars? But I do think that outright banning them is a wrong decision. Regardless, I think this was a thoroughly engaging article. Personally I believe a ban should not be placed on performance cars. Firstly the logistics and implementation of such a ban would cause widespread disruption and debate. How would you define a “performance car”? Would a threshold be set on… power output? (Power output of Audi R8 is less than that of a HGV)… acceleration? …fuel consumption? I assume the latter which leads me onto my next point. Environmental impact of performance cars cannot be quantified as there are too many variables which effect this. A performance car typically is driven infrequently as a bit of “fun” furthermore components are under higher loads therefore the lifespan (in mileage) of such a car is reduced. Therefore typically over the lifetime of the vehicle you will unlikely see much of a difference compared to a large family estate. Lorries and other heavy transport vehicles should be the focus of environmental scrutiny. These vehicles pollute far greater than a typical family car and see many more miles. Should it not be time the government pumped increased money into development / subsidies for heavy diesel engines and/or optimising electric trucks rather than banning a small group from having fun? The point you raise about promoting performance figures is debatable as all car manufactures now advertise the fuel economy figures on all adverts on TV and online. The idea that you promote the fuel consumption figures instead of the luxurious quality/performance of a car is like trying to promote spinach to a child vs a chocolate bar – they ain’t gonna buy it! My final point is the harm that would be done to the development of technology. Currently cars are the best form of transport the world has to offer. No other transport is as convenient. Car manufacturers and motorsport series such as F1 are pioneers in technologies that have fed through into everyday items and new modes of transport such as electric vehicles. Modern day F1 cars have hybrid electric powertrains which have helped the development of consumer electric vehicles. If we want to live in a world with electric cars we need hypercars that are electric first! In terms of environmental impact, a car like the Tesla Roadster could be argued to be a step in the right direction. Then again, why make a car that has a top speed of 250 mph when most countries have upper speed limits that are less than a third of that. In terms of ethics, all of the theories have been employed arguing for and against. In terms of virtue ethics, what is the virtue we most value in this context? Inventiveness, curiosity and innovation are all values that can apply to the continued development of high performance cars, but perhaps the central issue is what we define as high performance, perhaps a car that produces less pollution than others should be seen as high performance. After all, thriftiness of finite resources can be seen as a virtue.